To all the men out there, I advise you take notes. Ladies, if you aren’t yet old enough to appreciate the traits I am about to explain, bookmark this page and come back when you are in your mid-thirties. It should hit you by then. Mike Rowe is probably best known as the star of the hit TV show, “Dirty Jobs,” in which he traveled to all 50 states and completed 300 of the world’s “Dirtiest Jobs.” Unfortunately, he somehow ran out of dirty jobs, but has found a new place on TV with “Somebody’s Gotta Do It” on CNN, 10 p.m. Eastern, Sunday nights. Now that you are up to speed on Mike Rowe’s resume, here’s my list of what makes him a fine representative of the “Perfect Guy.” These are not in any particular order because to me, they are all equally valuable qualities that we should strive for. 1. Mike Rowe is a “man’s man.” In his logged hours on “Dirty Jobs,” Mike has gotten down and dirty with the most disgusting and nauseating creatures, excrement and just about anything else you can think of. 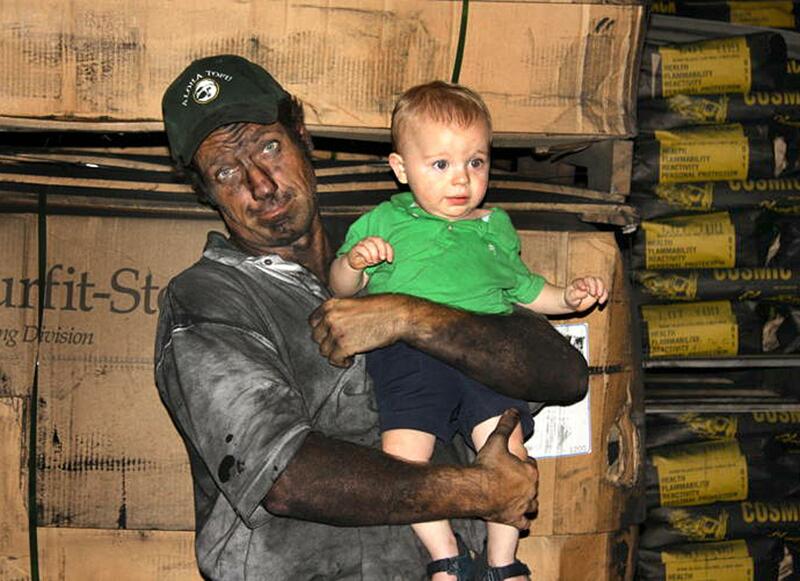 While most men are known to gag when changing the diapers of their own spawn, Mike Rowe would handle the task with ease. He’d be the dad that doesn’t run and hide from vomit, feces and the grossness of his children. Women, this is a rare and winning trait! BONUS: He will be the guy who catches the mouse or spider for all of you ladies who stand on chairs squealing in fear. (Plus he’ll probably just relocate it instead of killing it.) While Mike doesn’t have any children of his own, he would be a great to have on hand during the infant and toddler stages of life for sure. A man who isn’t afraid to get his hands wet, dirty, smelly and well, you get the picture…that’s one you want by your side. 3. Mike Rowe is genuine and funny. This may be two of the most important traits in a man. You need a guy who is going to be honest, even if it isn’t what you want to hear (yet have tact). A guy who can make you laugh through it all is golden. Men love to see us happy, smiling and laughing because of them. A man who can make you laugh just by being himself is a gem! 4. Mike Rowe is humble. He loves his fans and appreciates the platform he has to share messages promoting his humanitarian efforts with lots of laughs along the way. He uses his powers for good and does it with ease. He doesn’t take himself too seriously most of the time and he answers his fans personally. He doesn’t avoid any feedback, good or bad, and addresses them all with a style that this writer truly appreciates. Mike is the author behind all of his own social media posts from his blog to his Facebook page. His Facebook page is one of the best reads on the internet, without a doubt. He may have shown up to the scene a little bit later than most of us, but he’s more than made up for it! 5. 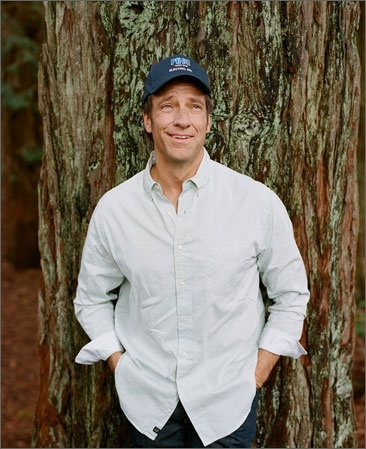 Mike Rowe is not afraid of politicians and big corporate interests. He’s also not oblivious to them. This may be an extension of the last reason, but still another reason to love Mike Rowe. A man who not only stands up for what he believes in but goes to battle for it is one you want in your corner. Click image to see entire post. 6. Mike Rowe is a gentleman. Have you ever seen a tabloid story about him behaving otherwise? No? That’s because he is. He’s lighthearted about it but he makes it clear to his fans about what he will and will not tolerate on his social media pages. I’m pretty sure his parents are proud! 7. 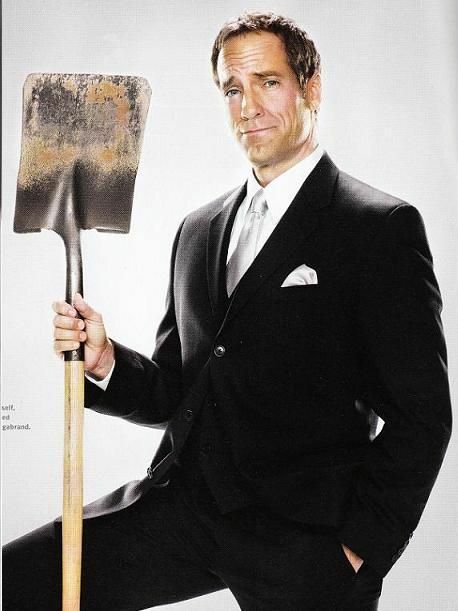 Mike Rowe cleans up nicely! Sure, you want a guy who isn’t afraid to get dirty but it’s nice that he’ll clean up for a night out with you too. It’s always fun to enjoy your guy all dressed up and out on the town with you on his arm! 8. 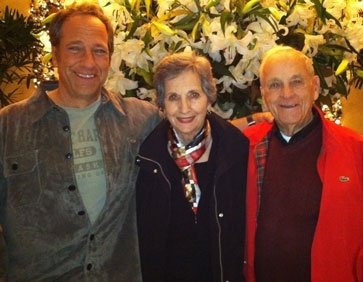 Mike Rowe loves his parents and allows the rest of the world to adore them too. Seriously, they are adorable! How could any woman not want these two as their in-laws? I am writing my plea of adoption as we speak. You never can have too many amusing and fun parental guides in your life. I am lucky to have quite a few beyond the ones in my bloodline who give me a lot of material for future posts. I love how much entertainment and joy they exude and how Mike brings them along for the ride of his unique career. They deserve every second of admiration! Yes, those are his parents in the commercial spots for his current show as seen in the clip above. Love!! For the record, the commercial spots are re-creations of actual conversations Mike had with his parents leading up to the new show. You can see where he gets his sense of humor from! The way a man treats his parents (especially his Mom) says a lot about how he’ll treat you. 9. 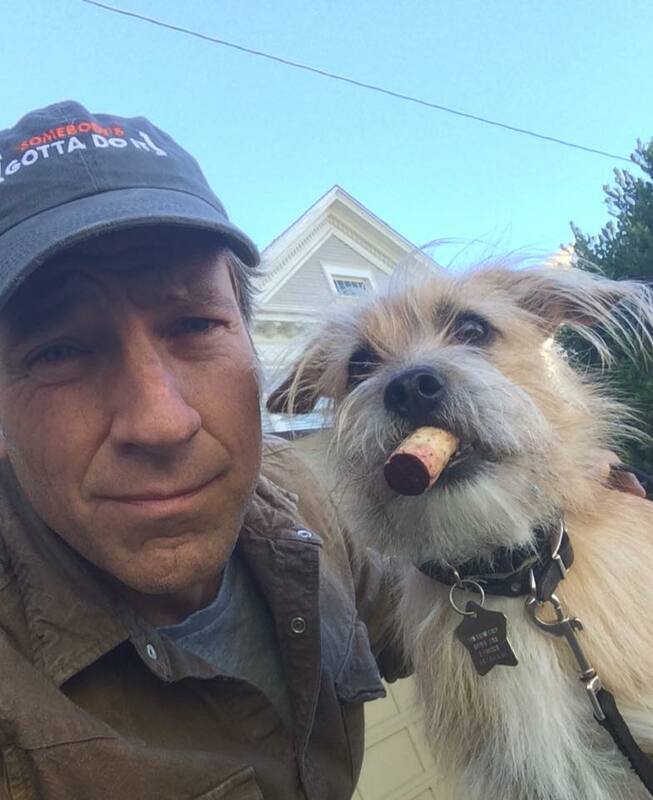 Mike Rowe loves the little dogs too. He’s an animal lover. But there is something adorable about a big guy who adopts a little lap dog and isn’t afraid to share his love for his pooch with the world. Perhaps the most golden posts on Mike’s Facebook page occur at the end of every work week when readers check in to read “Fridays with Freddy.” Mike turns the page over to his spunky little roommate and what comes after is always delightful. His willingness to take a back seat as Freddy’s “Biped” and hand over the spotlight is endearing. Freddy has become a celebrity in his own right as obvious by the fans who call his name when he’s out with his biped. A big, strong tough guy who melts for his little dog is just…well, perfect. 10. Mike Rowe represents the everyday guy we know and love. We all know that guy we can rely on to be there for many reasons, whether it’s to fix something we broke or help us through a heart break, he’s the good guy we are thankful to have in our lives. If you have a man in your life like Mike Rowe, you’re a lucky gal. I am proud to say I have a Dad who has influenced this list and made it immediately clear to me why Mike Rowe is the type of guy ladies should appreciate. I also have a great guy who makes me swoon with every dirty job he tackles around my house for me and with me. So ladies, I encourage you to not settle, encourage your kids to learn some life skills and don’t be afraid to get a little dirty too! Men, if you are a hard working hands on guy, thank you! Share your talents with your kids. Someday, they will appreciate it! If you enjoyed my list, please feel free to share. Most importantly, I ask that you all check out The mikeroweWORKS Foundation and see what you can do to help get involved. In all seriousness, he’s doing great things for our kids and the future of our skilled trades. Hopefully someday I’ll get to interview Mike for this blog and ask him about all the traits in this list as well as his amazing foundation! I’m married to one of these guys. He’s the best thinng that has ever happened to me. Also from Baltimore maryland, must be some thing in those crabcakes! I may have to try those crab cakes! Pleased as heck that someone else recognizes his awesomeness. YES! I’ve wanted to write this for so long! Now that I have a place to write what I want and not what I’m hired for, it was the perfect chance! Thank you!! I couldn’t agree more, and I’m married to such a fella myself – 37 years today! Whoa, you’re blog is going to get blasted with hits and comments now. Heh. I think Mike must have the most fb followers of any celebrity in the world. It reads much like our blogs here at WordPress. You know, I’ve spent minutes on (okay, maybe a little longer) trying to find flaws in Mike Rowe. I’ve also noticed these great qualities you shared and just can’t believe any human being could be that perfect! I have a tendency to analyze (armchair psychologist here). Don’t tell anyone, but I think I discovered a couple flaws. Don’t worry, I’ll keep them a secret, and it doesn’t leave him any less endearing. Another good thing about him is that he also does a little self-deprecating humor, which shows he knows who he is and that he’s not perfect. Another “perfect man” quality. I’m lucky enough to be married to a Mike Rowe kind of guy, and I also have one as a son, so I am doubly blessed. (They are not father and son). Both of them would give you the shirt off their back, or help you move, teach you how to do something, or hold your hand and comfort you while you cry. They both got up to their elbows in dirty diapers, dirty dishes, and backed up toilets, too. They are also quite good looking when they get all gussied up. I love them both dearly, and I wouldn’t trade them for anything in the world. I agree! He’s doing so much good to help carry on the traits we love in future generations! Now if we could only find the female equivalent. Well I can’t very well write an article about myself! 🙂 But seriously, if I find her, I’ll be sure and write about her for you so check back often! #11. Mike Rowe SINGS! He used rinsing with Baltimore Opera, so he can serenade you too! Yes! I loved watching him share that talent on CNN. I agree that it is another reason to love him but we don’t want to scare too many men off with that requirement. After all, that’s a bonus! Kudos! Wonderfully written – and about a great subject, too! He is a treat and a treasure and a role model for men. Absolutely! As a public figure, he is relatable and very genuine! Kudos! Great article – well written about a dynamic man/subject. Thank you for putting into words what I’ve been thinking for years. Thank you!! I appreciate the kind words and it’s exactly what I have been thinking for years as well about him! Actually, Mike does have two children–2 stepdaughters, that lived with him. From all accounts, he loved them and took great care of them. I’m not sure if he is still married to their mom or not. I know they had gotten a divorce, and then it seems like they got back together but haven’t heard much one way or another recently. Thank you for illustrating the traits that make Mike Rowe so admirable as a human being and a man. As a male in America i see far to many people of my generation and younger forgetting the things that really do make the country work and make better people. Mike Rowe is the type of man I wish more of us were like. If the man would run for President he would have my vote in a heartbeat. Yes! As a mother of 2 young ones, I see this myself and in today’s world it is absolutely a battle to get kids more involved in hard work! The shift has been very sizable and I admire him for bringing much needed attention to the skilled trades we have taken for granted! He is the best thing ever other the the best guy that I have. Mike you have it all! Damn it. You wrote the blog post I wanted to write! Excellent job. Well, well-done. I’m so glad you’re not the ONLY other one seeing these amazing (-ly rare) traits as we tune into, “Somebody’s gotta do it!” Thank you! I am so excited to know there are so many others out there who feel the same way!! You are a delight JerseyGirl. You write so well, and made me glad that I took the time to link out to your blog. Loved your summation of Mike Rowe attributes. thanks for taking the time to acknowledge a good person. You rock ! You are so sweet MaryAnn!! Thank you so much for the kind words! 😀 very true. Loved watching Mike growing up and now I admire him as a man with integrity and grit! Keep on making great work! Thank you!! He’s someone I have admired for a long time. Thank you for taking the time to stop by! Thanks for writing such a nice tribute to Mike Rowe. I really enjoyed reading it. I’d say the only reason! 🙂 Thank you! Could not have said it any better, Jersey Girl!!! Fabulous article with heartfelt true poinst!!! I hope your blog blows up in a good way. Found this post via Mike Rowe’s FB page and enjoyed reading it. Well done.